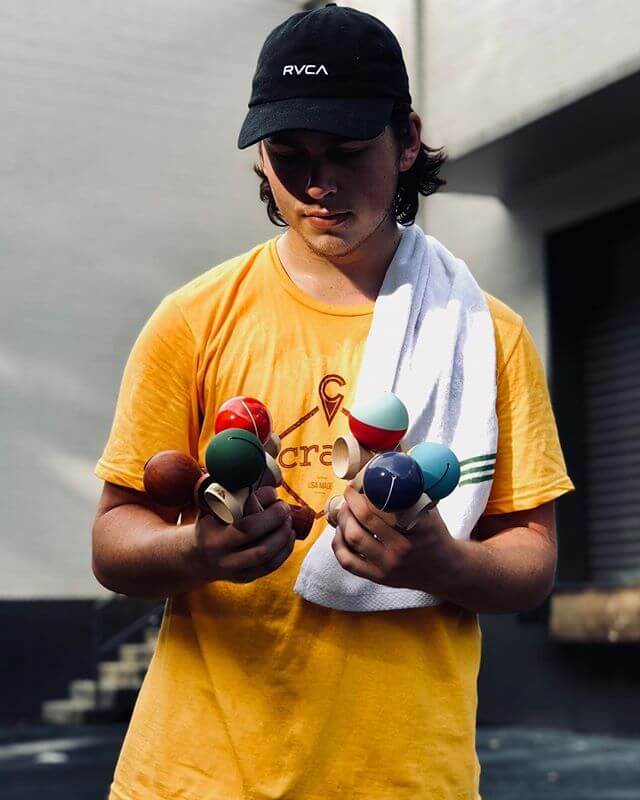 Zach Magnuson, a 19-year-old Kendama phenom from Motor City; Detroit, MI, has been playing Kendama for four and a half years and is now on Kendama USA’s Tribe Team! When he isn’t playing Kendama he’s either out shooting pics or making videos about Kendama! 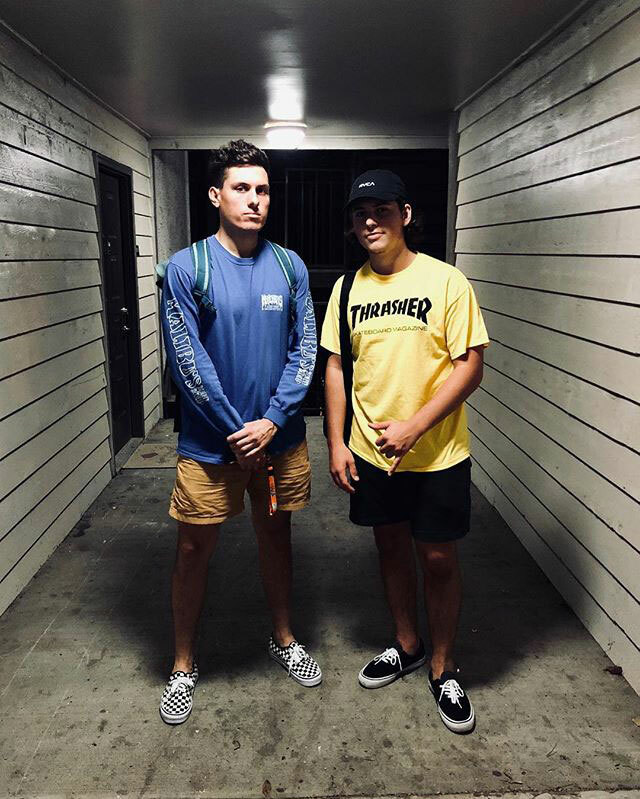 In his 2nd year of college at MCC, Zach claims to love school more than DWesty and plans on graduating with a degree in photography and video work. 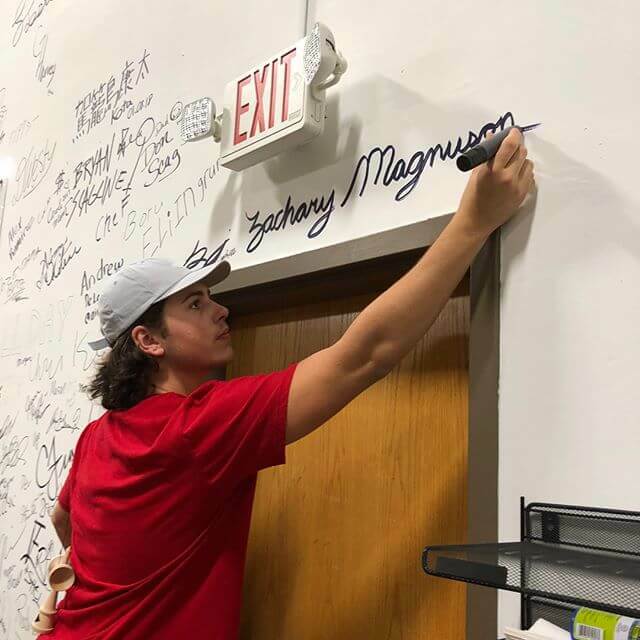 Zach’s progression, passion, and community involvement have propelled him into the limelight and he’ll continue to leave a positive impact on those around him on KUSA’s Tribe team. BTW, I host a jam every Thursday in Marysville, MI between 4 – 8 pm at Municipal Park. So if you’re in the area come on by and jam with us! Wake up & base cup people! Don’t neglect the cup that makes your Kendama stand tall. Yea it’s a little harder to land tricks and variations may not be as straight forward but, if you practice landing in base cup, you’ll find cupping, in general, to be a lot easier. In Vol. 2 of Back to Basics, Haley & Molly show you over 25 different base cup variations to incorporate into your flow and hone your skills with. Check it out! 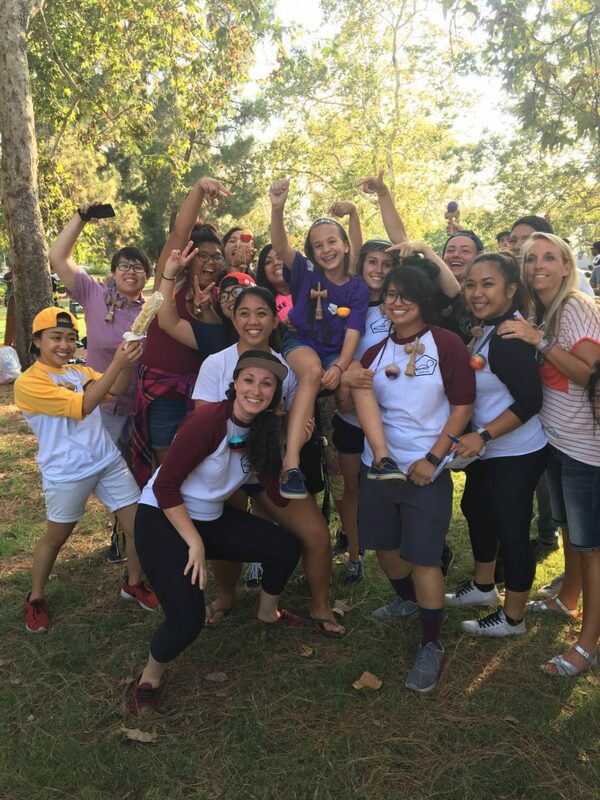 The 2nd Annual Let’s Dama event in Long Beach, CA was an amazing event. It was put on by local LA crew; LEZDAMA. Over 100 people attended the day long event as did sponsored players and vendors from several different companies. Many sponsored players that attended the event showed up with some fantastic giveaways. 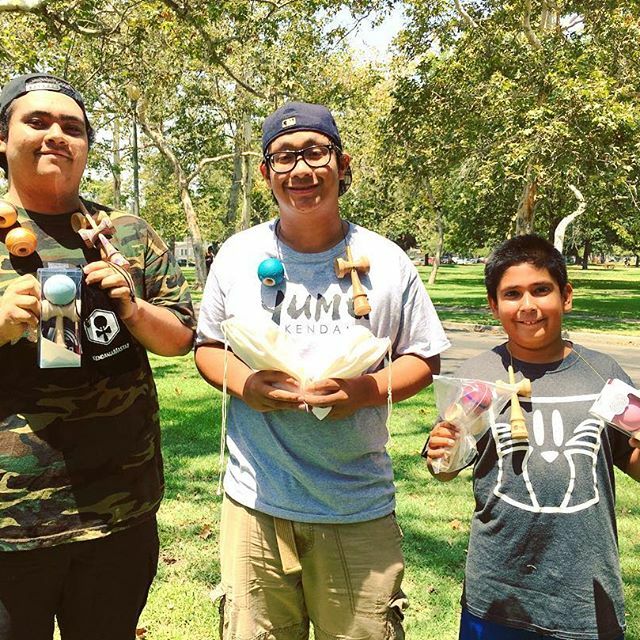 One of which was one of a kind REZ Kendama that went to Charity Cristobal. We showed our support with Colin Sander, Derek Astin, Haley Bishoff & Dylan Westmoreland all in attendance. 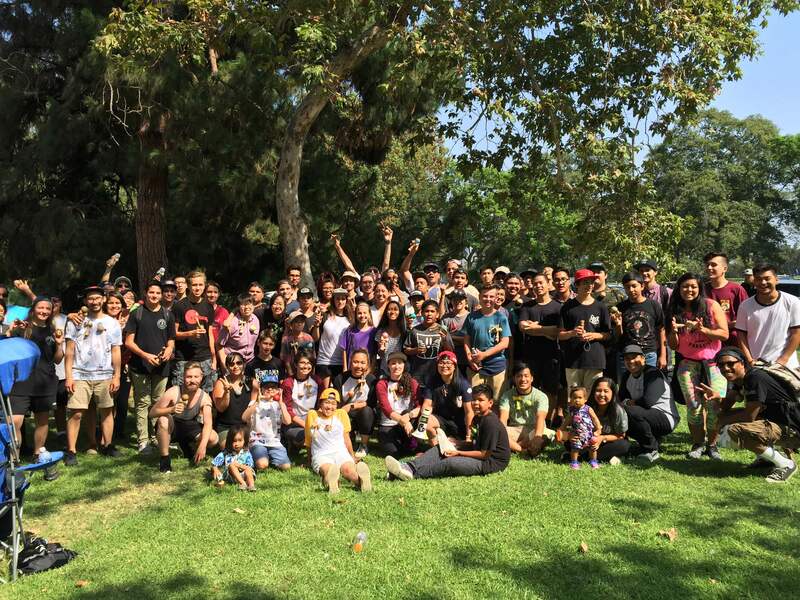 Other sponsored players included EJ Williams from RWB, Steph Lussier & Kristian Aynedter of Grain Theory, Chelsea Perez & Alex Hirota for Sweets Kendamas and Molly Harney from DWI plus many more. Happy Earth Day! Today marks the 46th year of a celebration and movement to conserve our planet Earth. To honor the day, Zack Yourd and cameo star Bryan Scagline set out to land earth turn rotations 1 to 10. Give thanks and demonstrate environment awareness for our beautiful home planet! 1. Make a recycling plan. 3. Give up bottled water and carry a reusable bottle. 5. Build a bird house, feeder or bath in your garden. 6. Conserve electricity in your home. 7. Use Earth friendly cleaning products. 8. Conserve water in your home. 10.Use a tote bag when grocery shopping. 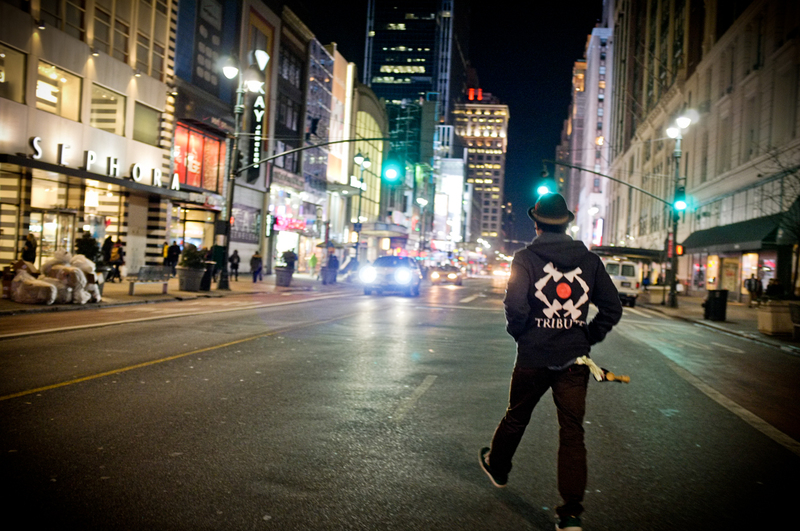 Take a trip and dig deep with Kenyatta Williams and Dave Mateo. Kenyatta had a chance to visit Dave in Las Vegas for his birthday. See what else the Flownamic Duo gets into. In FDIV you’ll find some other hobbies and some behind the scenes of what these two go through. 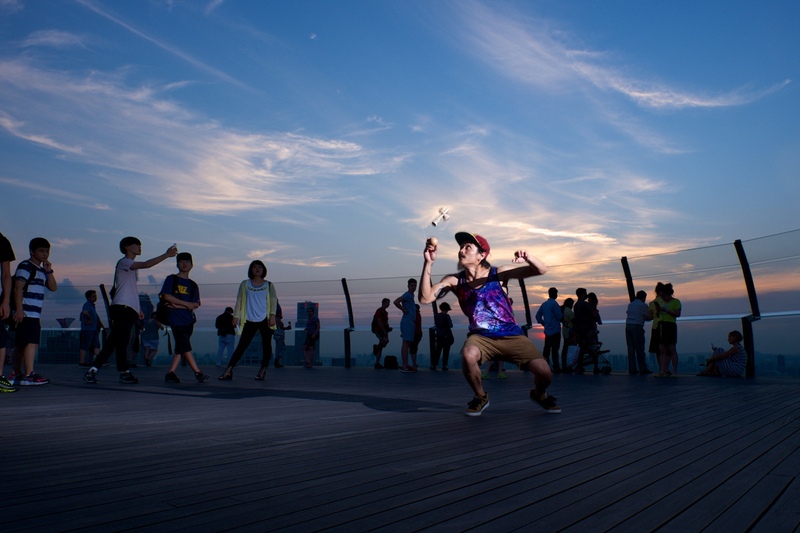 The Kendama craze in Hong Kong: what is it and what makes it so addictive? 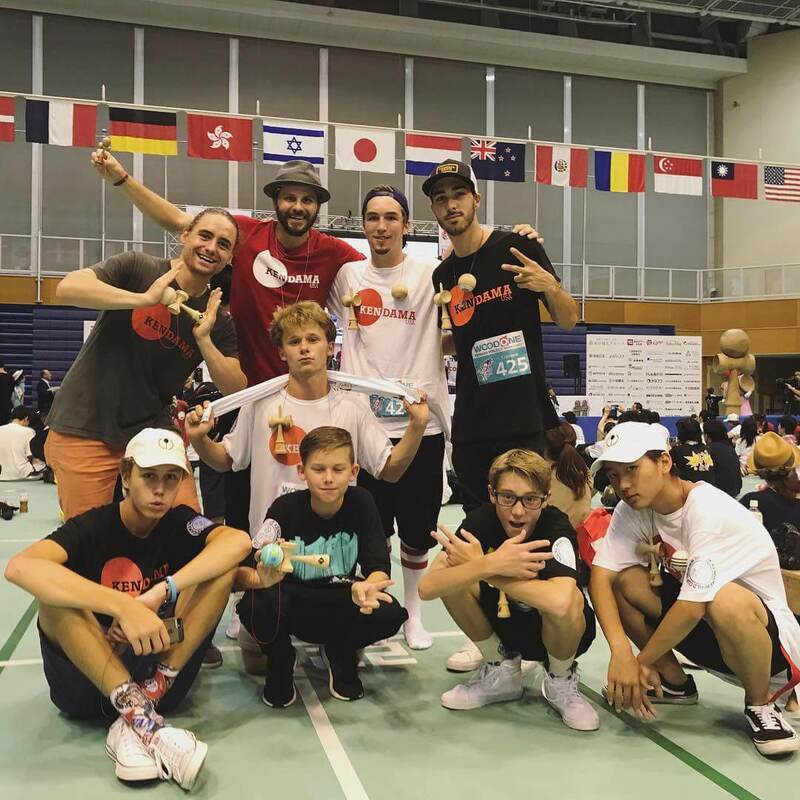 Young Post, a Junior Reporter Club recently wrote an article about the expanding Kendama scene in Hong Kong. 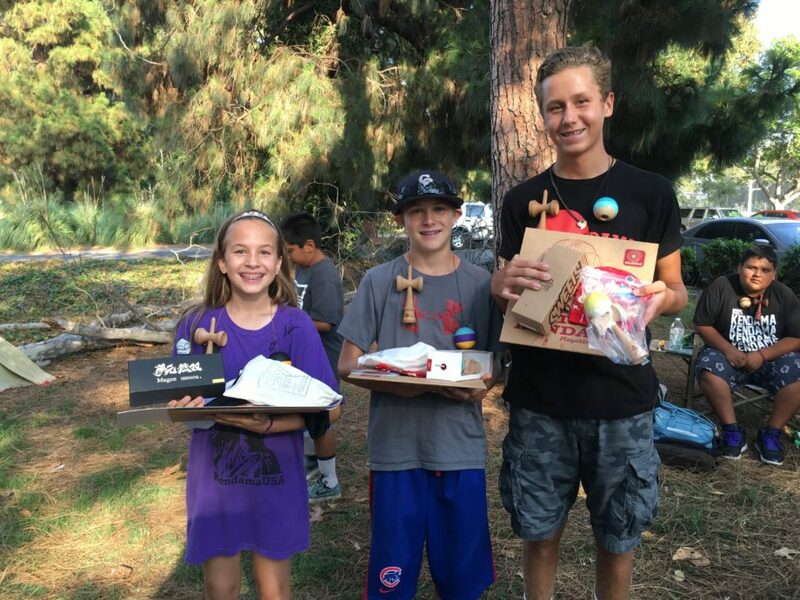 This amazing article covers some very important topics regarding Education with Kendama and the ability to build a community around it. Alex, Zack, and Jake are all mentioned in the article as well. Around 10 years ago, skateboarder Smore Chan Chung-yin picked up a Japanese toy made of a wooden spike and a ball on a piece of string, and started playing with it at a skate park after watching a fellow skater do some tricks. Chan was immediately hooked and couldn’t put the toy down for the next three hours. 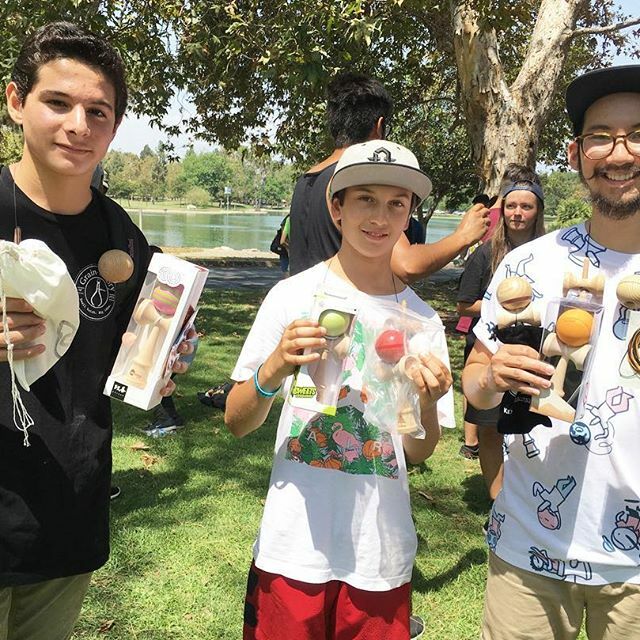 The kendama is a toy that is similar to cup and ball; the only difference is that the kendama has three cups, a wooden spike, and the ball has a hole in it. Players try to flick the ball back onto the spike, but it’s become much more than that, as players try to do tricks shots like landing the ball on each of three cups attached to the spike, toss the toy in the air and catch it again before getting the ball on the spike, balance the spike on top of the ball, or even holding the ball and balancing the spike with just the string. It’s not unlike how people have taken the yo-yo and created all kinds of tricks with it. 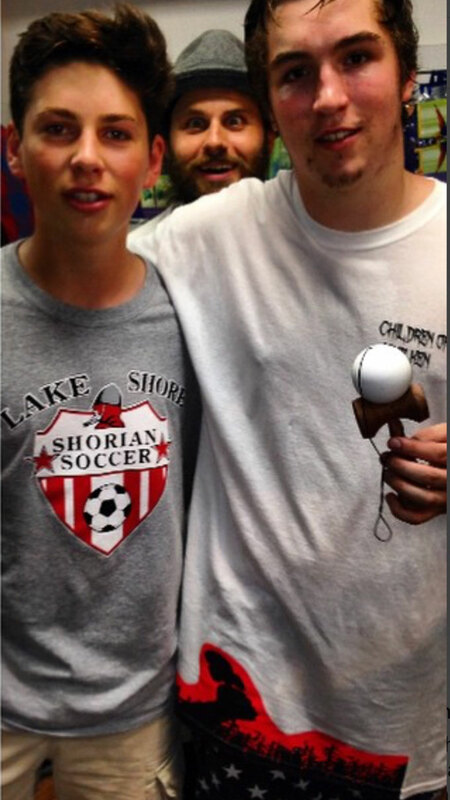 Chan has been honing his kendama skills ever since he discovered it. He has won several competitions, including the first ever competition in Hong Kong in 2006 and an international video competition with another player in 2007. The 26-year-old now works as a tour guide, but he founded Pak Fuk Kendama in Fanling, where he sells kendama products and coaches new players. 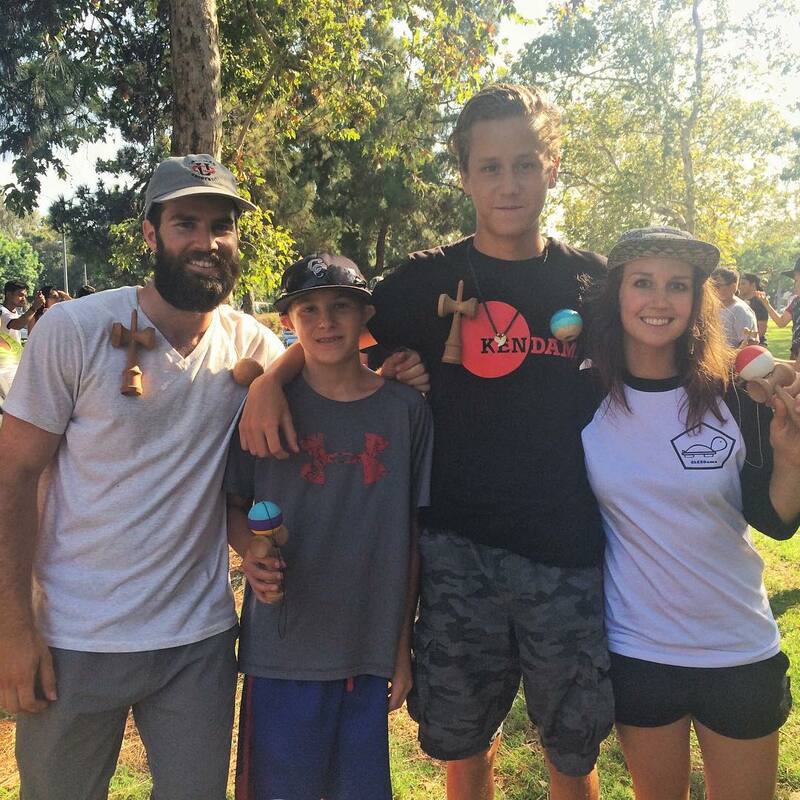 Kendama is steadily growing as a sport. 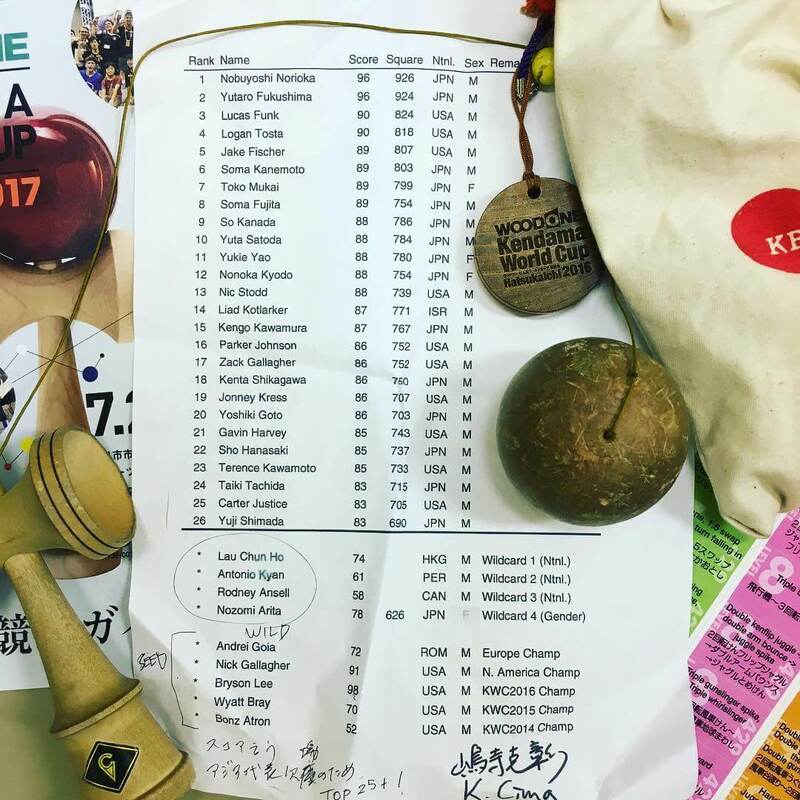 The US has a team of professional players, and even Pak Fuk Kendama in Hong Kongsponsors seven players, meaning those players get free kendamas and coaching. 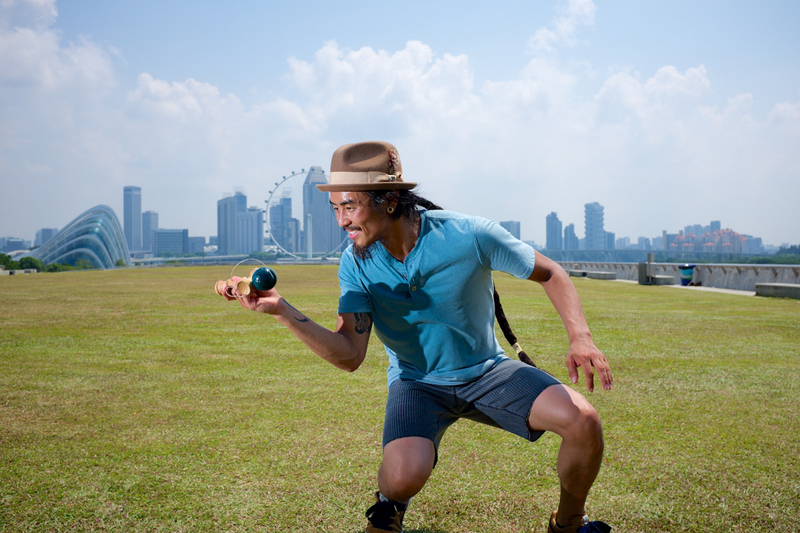 Sunny Wong, a bartender who helps Smore Chan run Pak Fuk Kendama, says there are around 200 enthusiasts in Hong Kong who practise every day, and that it is a serious discipline. 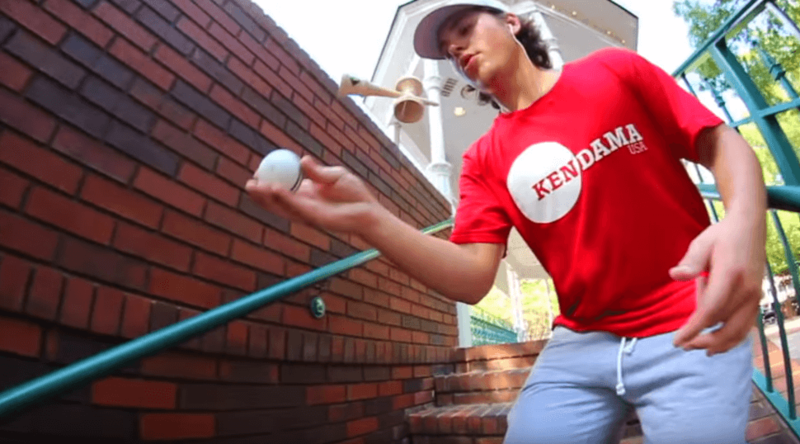 Some people even make their living from kendama, like Alex Smith, a player on the US team who is also a woodworker and makes his own kendamas; and Jake Wiens, another US player who also does a lot of the film production and editing for the team. 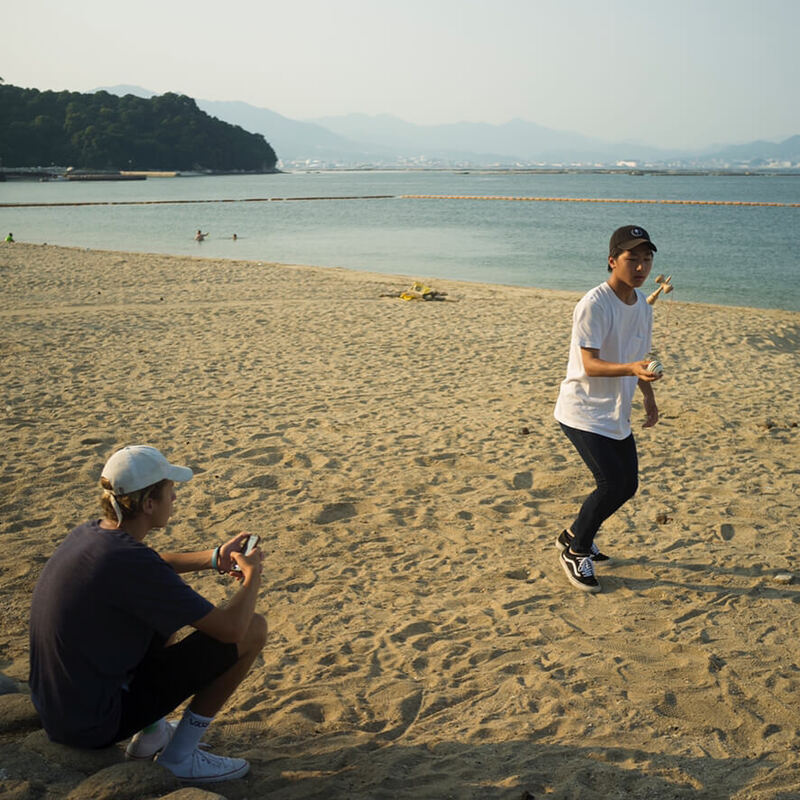 People like them are rare though, and Hong Kong doesn’t have a kendama scene like the US just yet, but more and more players are following in Chan’s footsteps and taking kendama seriously. Wu Tsz-ki is 14 and she’s one of the sponsored players with Pak Fuk Kendama. 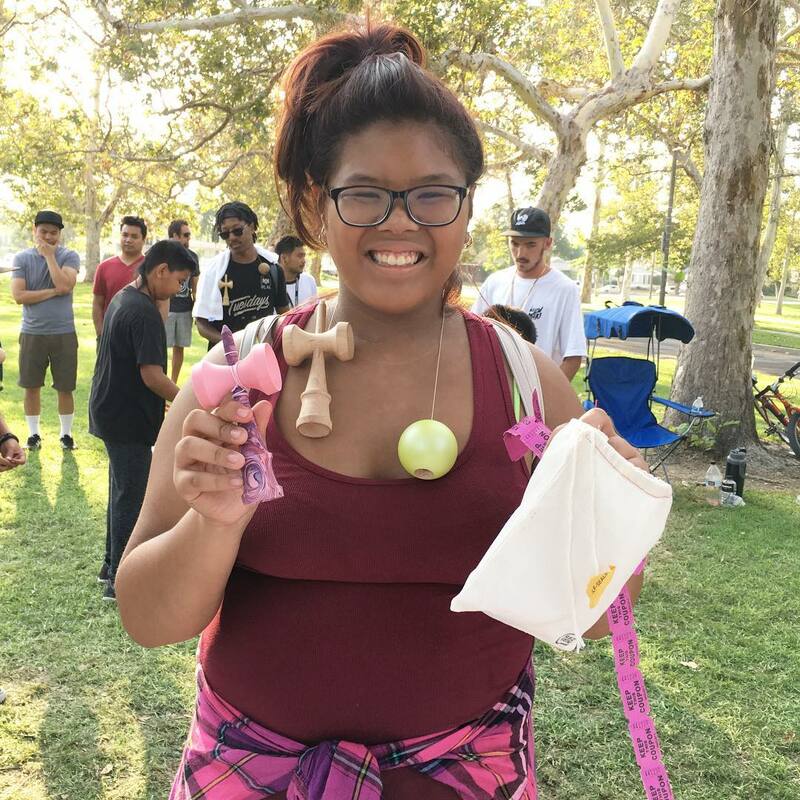 She only started playing with the kendama in May 2014 after she saw it on Instagram, but she practises every day and spends at least an hour each weekend working on new tricks. In October, she entered a competition and came fourth out of around 50 players. She says her parents are still surprised that she hasn’t gotten tired of this toy already, but she says she’s also hooked. Wing Tang kin-wing, 16, is also one of the Pak Fuk Kendama players. 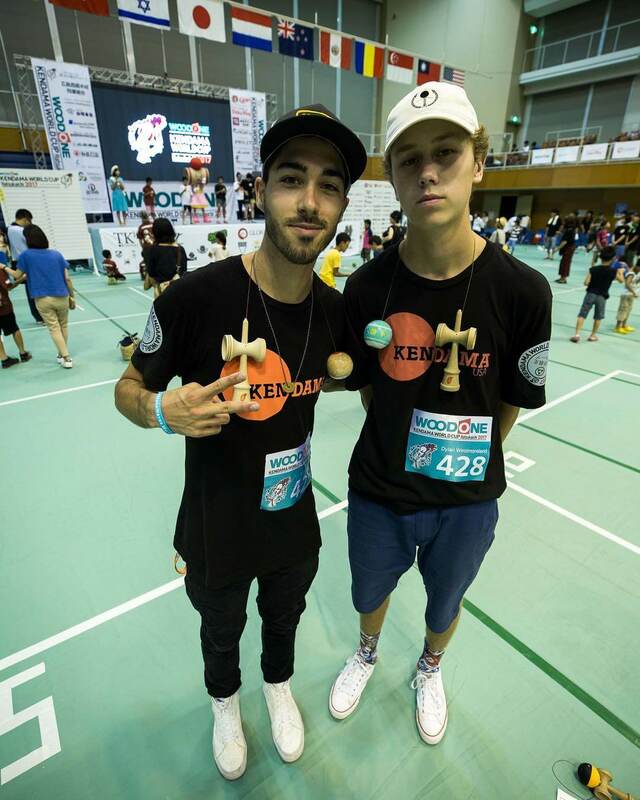 He started playing two years ago, and back in mid-December, he entered the TKA Kendama Contest in Taiwanand beat all the other players from Japan, Korea, and Taiwan to win the timed contest, where the players try to do as many difficult tricks as they can within two minutes. Chan says his group performs and hosts workshops at schools and universities. 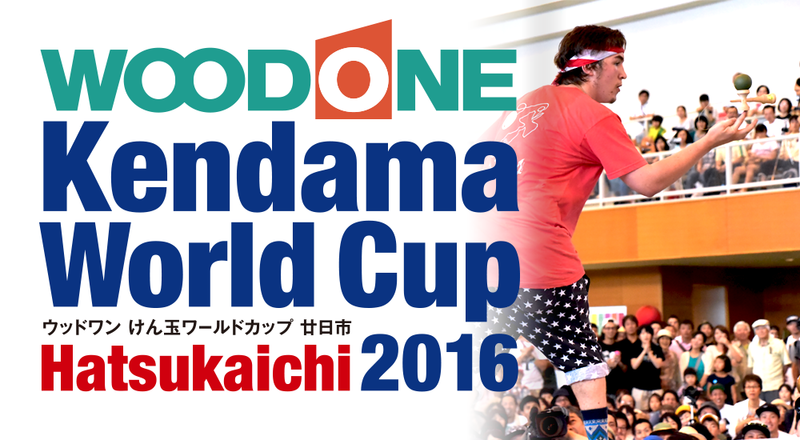 He says his next goal is to organise parent-child kendama classes. Zack Yourd, a professional player for the US team and recent college graduate, wants to develop a curriculum to introduce it to schools in the US. 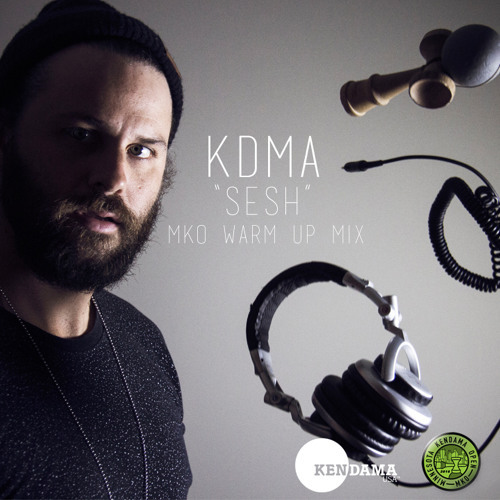 The 22-year-old started playing with the kendama around eight years ago and he says whenever people ask him what the kendama is, he’ll show them a few tricks and they are always impressed. Yourd travelled across the US with the team, and he says he was struck by how enthusiastic the players were. He also designs his own kendamas with different designs and types of wood, and he gets royalties every time one of those is sold. He enjoys brewing tea and coffee, so his latest model features engraved tea leaves and coffee beans. One of his kendamas costs around US$35. Lau Chun-ho (left) and Chan Chung-yin admit they’re totally addicted to kendama. 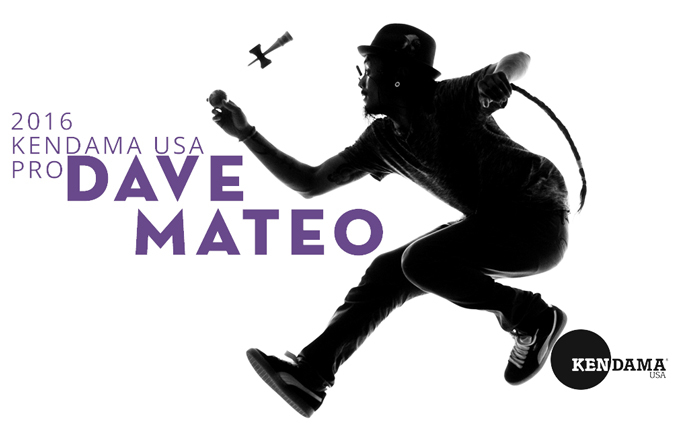 Kenyatta Williams & Dave Mateo release a 3rd installment. Flownamic Duo strives for you to continue to Kaizen. Kenyatta and Dave give you complimentary versatility within each others play style in FD3 and continue to revolutionize Kendama for the love. 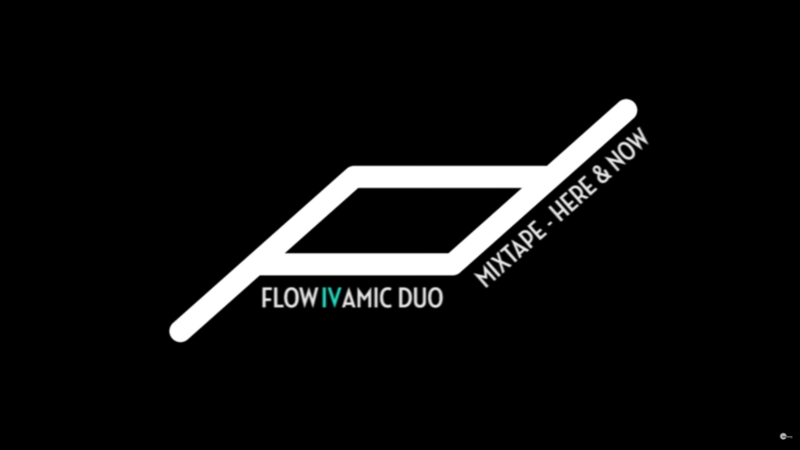 If you haven’t seen Flownamic Duo 1 & 2 Check them out right here!